“Facing Forward: A Panel Discussion on Mixed-Race/Ethnic Japanese Americans and Community” Speakers. From left: Jackie Keiko Denofrio, Laura Kina, Erik Matsunaga, and Christine Munteanu. With roughly 60 community members in attendance at the forum, Kina’s presentation was joined by talks given by community leader Jackie Denofrio, Erik Matsunaga, co-founder of Nikkei Chicago and instructor of the Ravenswood Shorin-ryu Karate Dojo, and Christine Munteanu, formerly of the JACL, but now Assistant Director of Multicultural Student Affairs at Northwestern University. “So I definitely got asked ‘what are you?’ all the time, and of course there were times my brothers and myself have experienced overt racism,” Kina continued, in talking about growing up in the Seattle area before moving to Chicago. Organized by the Japanese American Service Committee’s Legacy Center with co-sponsors the Chicago Japanese American Historical Society and the Japanese American Citizens League – Chicago Chapter, this panel was the fifth in a summer-long “Memories of Now” seminar series highlighting historical and contemporary issues in Chicago’s Japanese American community. In many ways, this seminar provided an opportunity for community members to grapple with issues not only of identity, but about the changing nature of the Japanese American community in Chicago. According to the 2010 census, in Cook County, Illinois, the county that encompasses Chicago and many of its surrounding suburbs, there were 16,814 people who listed their ethnicity as Japanese, either alone or in combination with another race or Asian ethnicity. Of this total number, 4,725 people listed their Japanese ethnicity in combination with another race, while 643 people listed their Japanese ethnicity in combination with another Asian ethnicity. This means that out of the entire Japanese community in Cook County, 32%, or roughly a third of the Japanese community in Chicago, classified themselves as mixed-race, with an additional 3.8% of the Japanese community who identified as mixed-ethnic Asian American. 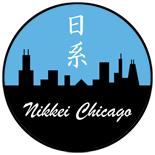 Faced with the diversification of the Japanese American community in Chicago, the challenge for the future of Japanese American leadership will be to build a more inclusive sense of Japanese American identity, and to recruit and identify new leadership that is reflective of the growing diversity. For Christine Munteanu, who was raised in New Jersey, and has a mother who is a first generation Japanese immigrant and a father who is a first generation Romanian immigrant, her later life was complicated by the way in which her experiences didn’t match well with the experiences of her Asian American high school friends. Complicating the issue was the way in which her family maintained a strong connection with Japan, where racial issues are often read in a manner that contrasts from how they are seen in the U.S. It would only be in college that Munteanu would begin to find a language to help her to explain her mixed-race experiences. From there she became more involved with Japanese American community issues, and would later get involved with the JACL, which brought her to Chicago. Increasingly, she has come to realize that the important thing to recognize is the ways in which a Japanese American identity is fluid and can change over time and depending on circumstances. For panel participants and attendees, this was an important opportunity to question internal prejudice in the Japanese American community and reclaim a sense of identity and belonging. One of the questions from the audience members raised the important point that the Japanese American community needs to begin to address its own internalized racism and how it deals with issues of mixed-race identity, especially for community members that are Japanese and African American. For panelists like Kina, questions like these raise the issue of where mixed-race Japanese Americans need to stand in addressing the pertinent issues of race in the U.S.
Christine Munteanu expanded on these sentiments to discuss the need for openness in thinking about the future of the Japanese American community in Chicago. I can’t imagine ever asking someone, “What are you?” I never felt it was any of my business, unless they wanted to discuss it. This entry was posted on February 23, 2017 by R Y in Community, Family, Nisei, Politics, Sansei, Shin-Nisei, Uncategorized, Yonsei and tagged Black Lives Matter, Chicago, Chicago Japanese American Historical Society, Christine Munteanu, Cook County, Erik Matsunaga, Hapa, Jackie Keiko Denofrio, Japanese American Citizens League - Chicago Chapter, Japanese American Service Committee, Laura Kina, Mixed-Race.